07.12.2018: GlobalCDA Statusmeeting (P1-9) in Frankfurt. 06.12.2018: PhD students Lecture Day (Remote sensing) in Frankfurt. 05.12.2018: Self-organized workshop of the ECRs (Early Career Researcher) in Frankfurt. 14.09.2018: CDA Designmeeting (P1, P2, P3) in Potsdam. 13.09.2018: PhD students Lecture Day (WGHM, EnCDA, POC, GRACE) in Potsdam. 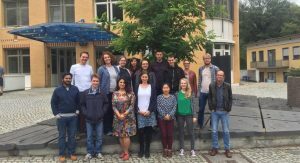 15.06.2018: Kick-Off Meeting in Bonn.